It’s really amazing how much better we perceive something when it’s painted an attractive hue. I always thought the Tesla Semi-Truck looked just fine when it was silver. But in red? Honey, I am ON BOARD. 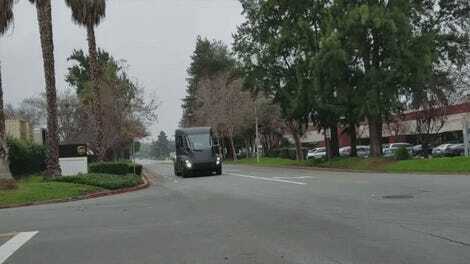 The truck, shot by and sent into us by reader Aiyman Hadi, was seen on the road near the Fremont factory in California. With black wheels and the matte red paint, I am very much a fan. It looks awesome. 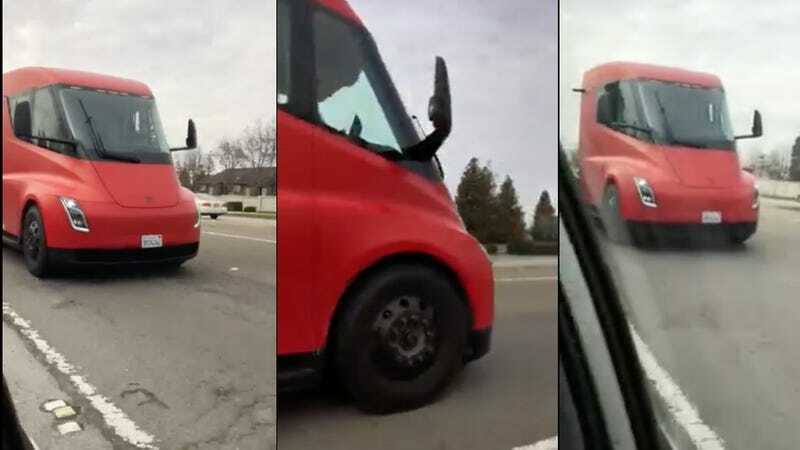 There was another sighting of a red Tesla Semi back in December on the 405 in Los Angeles, according to Teslarati. Apparently, there haven’t been any official details regarding the new paint on the mules, though. The truck in today’s video does appear to at least wear the same plates as the one spotted in the Teslarati article, though. This is a good red. A great red, in fact. A red that I would definitely consider wearing as a lipstick, nail polish or dress. Perhaps even all three at the same time. Colors are good. We could all use more colors in our lives.